Award-winning developers Aeria Games today announced the upcoming addition to their arsenal of free-to-play MMO games with the monster hunter, anime-styled Dragomon Hunter. Players and their friends will find a fantastical world of opportunity and adventure as they explore an environment with over 100 unique monsters to capture, a massive game world, and a deep story of mystery and intrigue. 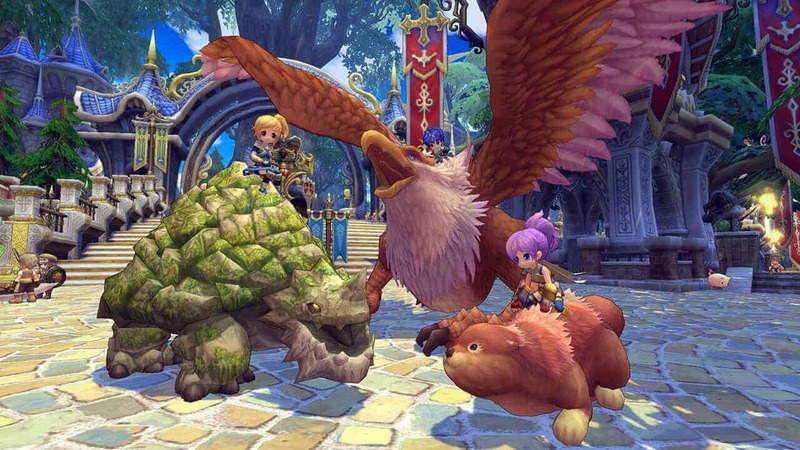 Fans of Pokemon and Monster Hunter will find huge amounts of appeal in the latest title from Aeria Games, which is expected to arrive Fall 2015 in Europe and North America, in both English and French. Players can team up with various allies as they dive into the immersive fantasy world, featuring four unique classes in the form of Scout, Mercenary, Mage, and Cleric. The most skill players will find plenty of opportunities to test their mettle as they square off against fierce monsters that can be caught, tamed and turned into loyal allies. Materials from defeated foes can be gathered up and uses to craft powerful weapons and upgrades for you and your comrades. For more information players are invited to check out the official reveal trailer below before heading over to the official website for additional details.